Janyce Fadden is Director of Strategic Engagement for the College of Business at the University of North Alabama. Janyce is guiding a leadership team that is implementing pathfinder projects that advance the region's digital technology competitiveness using Strategic Doing, an asset-based collaborative process. Her role includes leading Strategic Doing, and implementing an innovation pipeline strategy to economically enhance the three-state region served by the university. 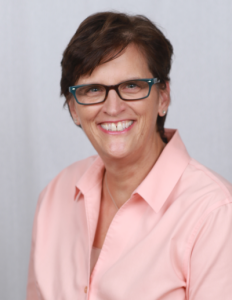 Fadden earned her Bachelor of Science degree in Engineering and Management from Clarkson University in Potsdam, New York, and her Master of Business Administration degree from Northern Illinois University.